The Beckhams Are Having A Girl. Finally. And now for some happy news….. In the midst of Charlie Sheen madness, celebrity breakups, and divorces, it’s time to hear about some happy things. Like Victoria Beckham and her super-hot husband David Beckham finally having a daughter. Yay for them!! It was revealed yesterday that the parents of three young boys are finally having a girl. Both David and Victoria have expressed their desire for a daughter, so I can only imagine how happy they must be. The soccer star, 35, announced the news Friday afternoon at an L.A. Galaxy fan luncheon, ESPN reports. “Obviously, we’re very lucky to be expecting again, and this is the first time I’m going to say it: It’s a little girl,” Beckham shared. 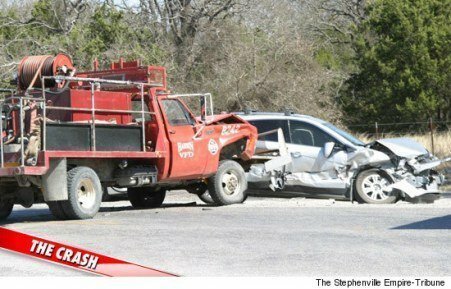 In other celebrity pregnancy news…..
Singer Jewel was involved in a two-car accident in Stephenville, Texas on Friday morning when a small fire truck crashed into the passenger side of her car ; thankfully both she and her fetus were left unharmed. 50 queries in 0.927 seconds.